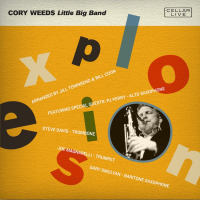 Saxophonist Cory Weeds has been a professional musician for the better part of 15 years. As a member of popular Vancouver band People Playing Music he toured Canada, the United States and Europe and recorded was a key part in the success of the band's Sette CD released in 1997. In 1998 he formed his instrumental band CRASH that he co-led with tenor saxophonist Jerry Cook. The band released its first CD entitled Crash in 1998 and toured Canada the same year playing at the prestigious Montreal Jazz Festival. The band went back into the studio in 1999 to record their sophomore release Candyshop. In 2003 the band was booked to back up Hammond B3 organ guru Dr. Lonnie Smith. This chance meeting resulted in the band's 3rd CD The Dr. Is In on Cellar Live featuring the renowned B3 Organist. The CD was a huge success and led to several tours of the Pacific Northwest.
. The band recorded a CD that was released in 2005 that has been a hit worldwide and their first full length Christmas CD You Better Watch Out! was released in December of 2011. The band continuously sells out venues in Western Canada during the Christmas season. Weeds is a charter member of Melody Diachun's EQ that released their debut CD in 2008 and Jennifer Scott's Brasiliera. They will be releasing a CD in mid 2012. In 2006 Weeds was a member of the saxophone section that backed up Paul Anka and has also graced the horn section with singing sensation Nikki Yanoffsky. Weeds has also shared the stage with international superstars such as Lou Donaldson, David Fathead Newman, Charles McPherson, Harold Mabern, Scott Hamilton, Ian Hendrickson-Smith and Mike DiRubbo. He has also shared the stage with locals like Brad Turner, Mike Allen, Hugh Fraser, Don Thompson, Oliver Gannon, Cam Ryga and Ross Taggart. Perhaps Weeds' biggest musical accomplishment came in January, 2008 when he recorded his first CD as a leader featuring New York heavyweights guitarist Peter Bernstein, organist Mike Ledonne and drummer Joe Farnsworth. Big Weeds was released to critical acclaim across the continent. The CD debuted on the JazzWeek chart at #49 and made it all the way up to #17. Big Weeds also graced Bob Parlocha's Top 40 Jazz Chart making it as high as #9. 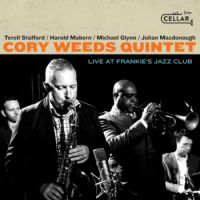 Big Weeds was nominated for Album Of The Year at the 2009 National Jazz Awards and was selected by Jazz Week as one of the Top 100 Releases of 2008. In August, 2008 Weeds shared the stage with yet another New York heavyweight, trumpeter Jim Rotondi. The band recorded their first CD in January, 2009 in New York City featuring pianist Ross Taggart, bassist John Webber and drummer Willie Jones III. 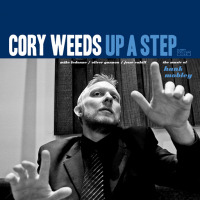 Everything's Coming Up Weeds shot up JazzWeek Charts making it as high as #6 and was voted #32 out of the Top 100 Jazz Recordings of 2009. 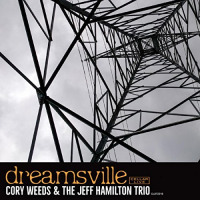 The Many Deeds Of Cory Weeds features the dynamic duo of organist Joey Defrancesco and drummer Byron Landham as well as trumpeter Chris Davis. The record debuted on the JazzWeek Chart at number 26 and remained in the Top 50 for 10 weeks. 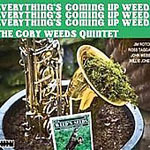 Weeds' most recent release Just Like That featuring The Tilden Webb Trio has received critical acclaim. It graced the JazzWeek charts for 12 weeks making it as high as #7 and continues to receive airplay around the world. All About Jazz musician pages are maintained by musicians, publicists and trusted members like you. Interested? 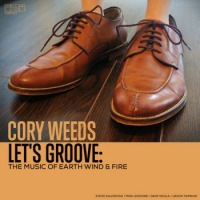 Tell us why you would like to improve the Cory Weeds musician page.